What exactly is a "racecation"? Well, it's a race + vacation in one! I love to travel and I love to run races, so racecations are the best of both worlds for me! For others, it could be a dream race they've had on their bucket list or part of their goal to race in every state. Whatever your reasons, if you're traveling for a race, I say bring the family, stay a few extra days and make it a vacation! I've traveled to quite a few races and with a little planning it is totally possible to run a great race and enjoy the sights! Here are my Top 7 Tips for planning your next racecation! 1. Plan Ahead. This may seem obvious, but it's important to note. Make sure to check out all the race details and final emails for any transportation logistics, last minute changes, and any race add-ons, such as carb loading dinners, seminars, or VIP Packages. Some of these can sell out, so be sure to sign up early if you plan to take advantage of them. It's best to print any waivers or forms beforehand, so you don't waste time once you're there. Believe me, your family will thank you for it. Some race sponsors also offer discounts or deals to race participants, so it's good to go to the race website and see what's available. I've found great prices on hotels and even a good deal on a city tour in Seattle this way! Also, know where the expo is being held! Sometimes it's at the start/finish but other times, it could be in a completely different area, so map it out and know where you're going! 2. Book a Nearby Hotel. Like I just mentioned, most races will have a list of recommended lodging and they may even offer a discount to racers. I'd check these out first, but if they are no longer available, as these do tend to book up soon, look for other nearby hotels. It's up to you if you prefer to be near the start or finish line and it may also depend on what you'll be using for transportation. A lot of races do offer buses to the start line from specific locations. Personally, for my racecations, we'll book a hotel near the finish line, so my family can easily meet me with me afterwards and they don't have to ride in the car with stinky mom for too long! Use Eagle Creek Pack-It Sport Cube. This post in not sponsored by Eagle Creek, I just really love their products. As a Rock N Roll Marathon ambassador, I was given a Sport Tote to try out and I really liked it. Then, when I saw their booth at one of the expos, I purchased the Pack-It Sport Cube and it's since been with me for every overnight race and racecation! I pack everything I need for race day in it: sneakers, Garmin, hat, top, bottoms, socks, sport bra, undies, glide, gels, Nuun! Even a change of clothes for after the race! Basically, if I need it for race day, it's going in that cube. It keeps me organized and I love knowing that it's all together. Plus, the cube is small enough and fits nicely in my suitcase. I highly recommend them to everyone!! Don't Arrive Too Early. I've learned from experience that it's best to run your race and then start your vacation, not the other way around. Leaving the race for the end or even the middle of your trip may give you added stress and who needs that! You'll possibly worry about things like getting enough sleep or worry about walking too much and running on tired legs. You may even have to plan a short training run. There's also things like your diet to consider and let's be honest, we all like to indulge a bit while on vacation, right? I've noticed that the best time to arrive is 1-2 days before your race. I prefer to arrive the morning before the race. This gives me enough time to visit the expo, pick up my race big, settle into our hotel room, grab dinner, and have an early bedtime. However, if you'll be traveling to a different time zone and will experience some jet lag, then plan to arrive 2 days early and use that day in between to relax and acclimate to the time change. Stick to your Pre-Race Routine. When we're traveling, we tend to go on hyper-mode and want to do and see everything! I speak from experience! Since most races are super early in the morning, you'll want to be sure to get to bed early. Then, stick to your morning routine as much as possible. I always make sure to get my go-to race day breakfast of a banana and a Justin's almond butter packet the night before. I also lay everything out the night before, so I can just go into auto-pilot and get dressed, grab my things and go. It's usually to early for me to think straight, so doing it the night before gives me peace of mind on race day! Use Waze. This one only applies if you'll be driving to your race. If so, then rather than using Google Maps, I suggest using the Waze app. It's free to download and since it's crowd sourced, the road closures due to the race will show up and it will give you better routes to take. It's been really helpful for us! Enjoy the Race. Most of us who plan racecations do so because it's a new city or new place we want to explore. Running through a city or park we've never been to is exciting, so don't forget to look around. Don't get so focused on just running the race and watching your pace that you forget to look around and take in the new scenery. This was probably the reason you signed up for the race to begin with! Enjoy the race and scenery and think of all the fun you'll be having after your race is done! You'll get to see and visit new places because running got you there! And, that is pretty cool! Posted in Running, Travels and tagged with race recap, racecation, vacation races, destination races, race vacation, half marathon runner, half marathon prep, half marathon, zion half marathon, half marathon training, half marathon tips, race tips, race ideas. October 18, 2017 by Jessie Emeric. April 1st was my first half marathon of the year, the Zion Half Marathon! I would love to say it started off amazingly, but when your first mile is 18+ minutes, you kinda know it's gonna be a doozy! My friend and I took off from Las Vegas early Friday afternoon and the drive took us about 4 hrs. Yay for the S-Town Podcastfor the in-car entertainment! Packet pickup was at Zion Ponderosa Ranch which was north of Zion National Park from the direction we came in. So, we had to pay the $35 admission to the park to drive across. Seriously wish there would have been some mention of this on the website. Anyhow, we made it just in time for packet pickup and our spaghetti dinner. The weather was very cold and it was super muddy. The race directors had communicated this to us via emails, updates on facebook, and even text messages, so we knew what to expect when we arrived. As a matter of fact, their communication throughout the evening and race morning was very good. We stayed in Kanab, UT which was another 30 minutes north of the start line at the same Zion Ponderosa Ranch. Traffic was expected for race morning and we were told to plan at least an additional 30 minutes to our drive. However, the night before the race, we were given notice that the parking area was being moved to their Plan B location due to the muddy conditions at the original parking lot. This created even more traffic and congestion as there was only one entrance to Zion Mountain Ranch and cars were simply parking alongside of the road. We then had to walk back towards the main road to where the buses were picking up runners. This ended up being about a mile away from our car. We finally arrived to the buses, waited in line, and boarded the lovely warmth of the bus! Kudos to the volunteers for being out there in the dark and cold morning in such good spirits! They rocked! Once we arrived to the start line area we found out the race was being delayed due to the traffic congestion caused by the parking lot change. Once the race finally started it was pretty confusing and rushed so we ended up way in the back of the pack. I thought we'd be ok once we started running and we found our groove but that never happened for me. Unfortunately, all the melted snow created some pretty muddy trails that were nearly impossible to run through. Runners ended up just walking along the edges of the trail or completely around the trail so we just all walked in a row behind each other. Yup, more congestion. 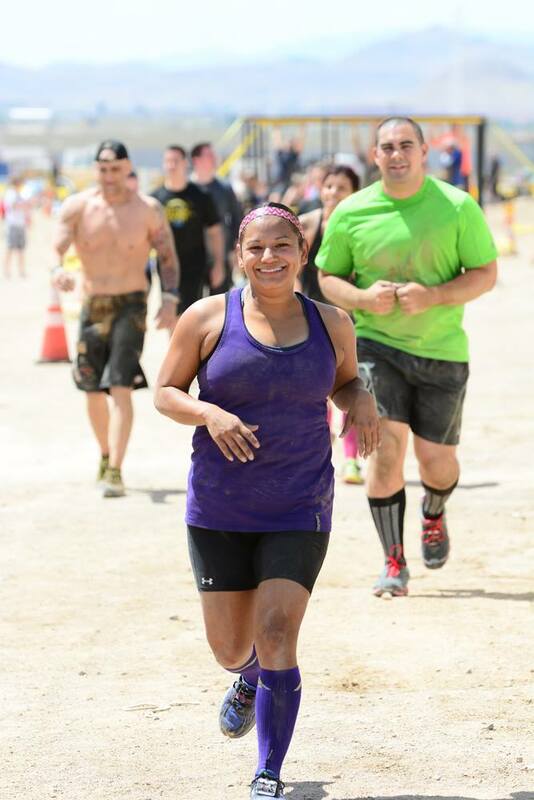 By the time we were out of the 1st muddy mile, it'd been 18 minutes and I was feeling pretty defeated. The downhill course that was promised was not really downhill. It was way more hilly and more of an up and down course. Add to that the super muddy trails where we were forced to walk most of them and we had ourselves a PR for slowest half marathon! It was definitely not the race I was expecting. Having to run past our cars around mile 7 was especially cruel! This was right before the finish line! Hardly a downhill run....Ugghhh Thanks @penguincity for capturing this shot! Clearly, I was not the only one who was a bit disappointed. @gimmeapaw was spot on with her post! It hurts me to write this recap because I've seriously loved all the half marathons I've ran. I understand no one can predict the weather and the havoc it can cause on race day and the race directors did a good job handling it. I think they did the best they could with the weather conditions. They also gave all this year's runners a discount for next year's race and sent a very well written email afterwards. However, it wasn't just the weather that did it for me. I wish I could say it was just the wet, cold, muddy conditions that made it difficult for me to enjoy the race, but it wasn't just that for me. I was also expecting a much more scenic race and the locations we ran through just didn't have spectacular views. For this year only, the race was east of Zion National Park, so maybe the regular location is much more scenic, but I'm not sure. Ultimately, I know a race is what you make of it and I am glad I experienced this race. It taught me that I need be prepared for everything and sometimes races just don't go as expected. I need to learn to go with the flow. This race was definitely a mental game for me and I gave up quickly. I did not give it my all and I let unrealized expectations, bad weather, and muddy conditions defeat me. Lesson learned. Did you run the Zion Half Marathon? I'd love to know what are your thoughts of the race. 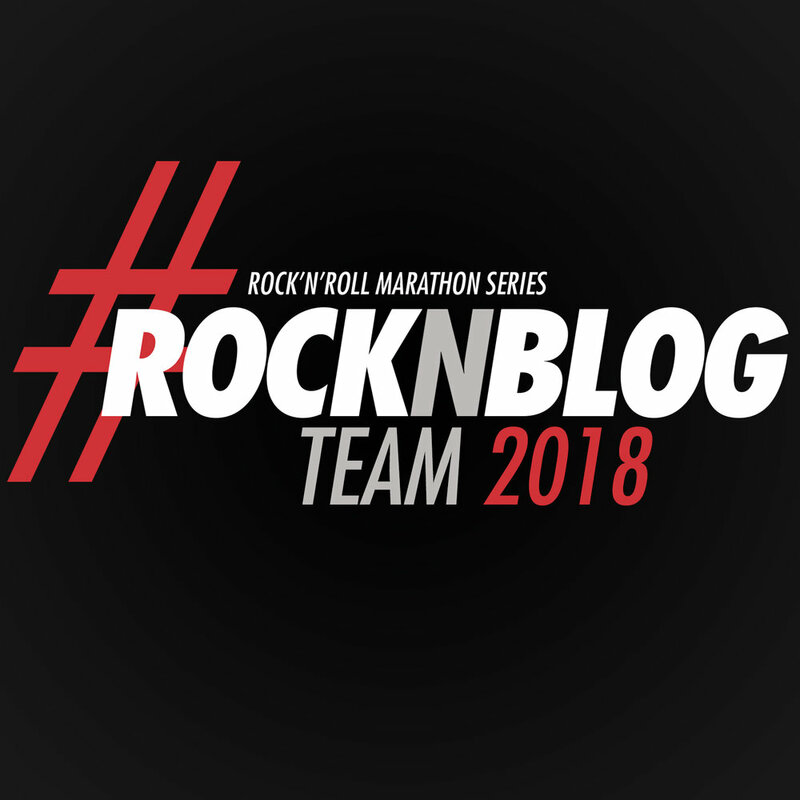 Posted in Race Recaps, Running and tagged with zion half marathon, vacation races, half marathon recap, half marathon runner, half marathon, trail race, trail running. April 13, 2017 by Jessie Emeric.